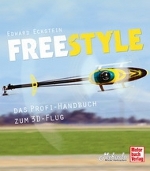 To exercise the right of withdrawal, you must inform us (MIKADO Model Helicopters GmbH , Graf-von-Schwerin-Str. 40, DE 14469 Potsdam, Phone +49 331 23749-0, Email info@mikado-heli.de) of your decision to withdraw from this contract by an unequivocal statement (e.g. a letter sent by post, fax or e-mail). You may use the attached model withdrawal form, but it is not obligatory.